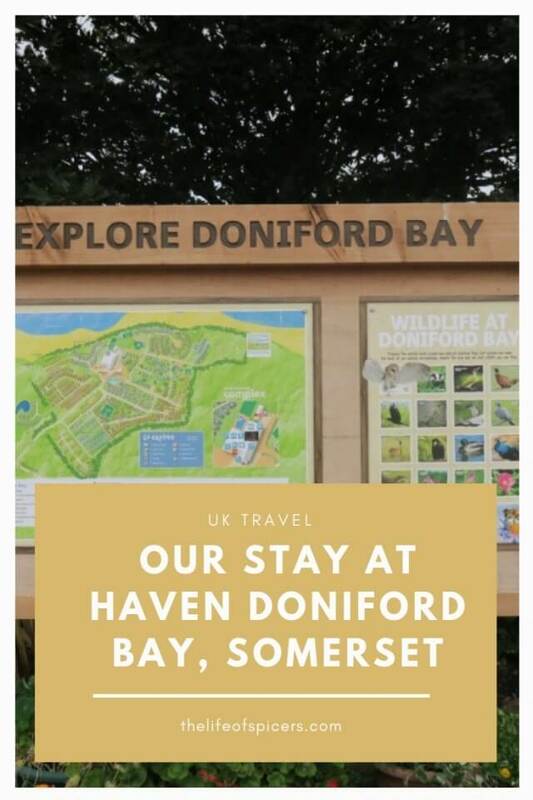 I like to do my research before booking a short break, and when Haven Doniford Bay appeared in my radar, I was pleased with the reviews that were available. Doniford Bay is in Somerset, meaning the drive was around two hours from home. 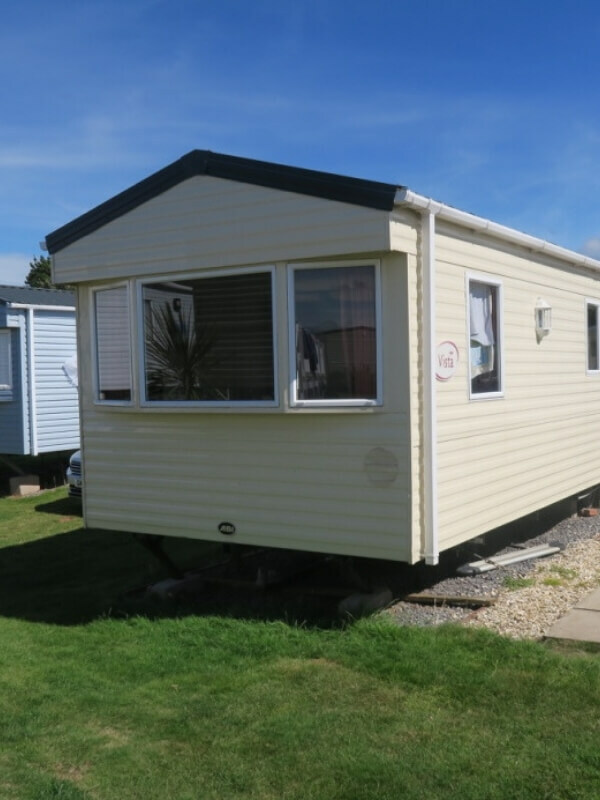 This made it ideal for a pet friendly caravan holiday so we decided to book a Haven Holidays mid-week break. We arrived at Haven Doniford Bay holiday park mid afternoon, just before out allocated 4pm check in. We had booked a dog friendly caravan, and were really looking forward to a nice break near the beach. The car park at Doniford Bay is quite small for arrivals, however I think we missed the rush as we managed to park OK. Our caravan was ready, and after a quick and friendly check in we had our map and directions to our caravan. All of the accommodation at Haven Doniford Bay are caravans in a range of styles and luxury. The range goes from Standard, Standard newer models, Deluxe, Deluxe newer models, Prestige, Prestige newer models, Platinum with decking and Adapted caravans for accessibility requirements. We were allocated a standard caravan which was what we expected booking a pet friendly caravan. We did find out after we arrived back home, we could have upgraded this option, but it wasn’t clear on booking. Our caravan was a three bedroom caravan despite only booking for three of us and a dog. We appreciated the additional space we had, but I’m not sure I would want six people and a dog in the same space. 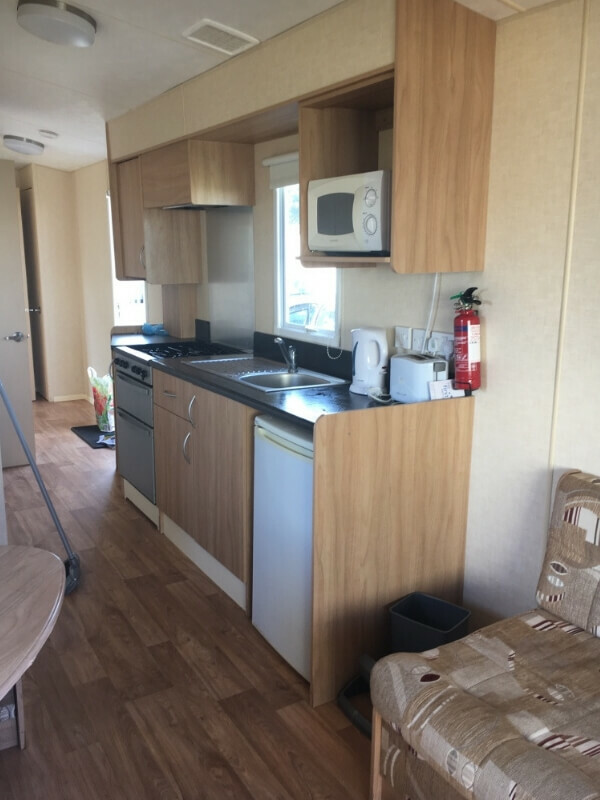 Our standard caravan was made up of an open plan lounge, kitchen area, two twin bedrooms, one double bedroom and one bathroom. Having six people share one bathroom may also become quite cramped as your stay goes on, so if you’re a larger family then I would recommend upgrading the caravan. On first impressions the caravan was clean and tidy. We did find a few niggles as our stay went on. Attention to detail would have solved this before we had even arrived. Small issues such as dog hair behind the door in the bedroom, this had clearly not been vacuumed for a while. The crockery needed a good wash over before we used it, however we always wash everything before use anyway as you never know who has stayed before you. There was a decent amount of storage space in the bedrooms and as we parked our car right next to the front door, we found it easier to leave the extra shoes and Wellington boots in the boot of the car to save space in the caravan. I like to make sure a holiday park has ample facilities to keep us entertained when booking a short break. 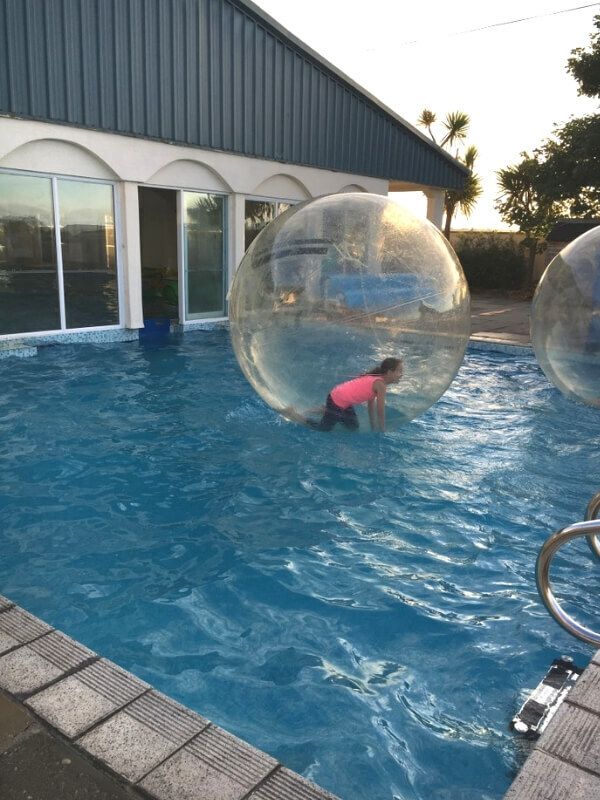 Haven Doniford Bay has a heated indoor and outdoor pool with a water slide. There is an entertainment venue on site with an arcade, restaurant, takeaway, crazy golf, small shop, launderette and play park to name a few. 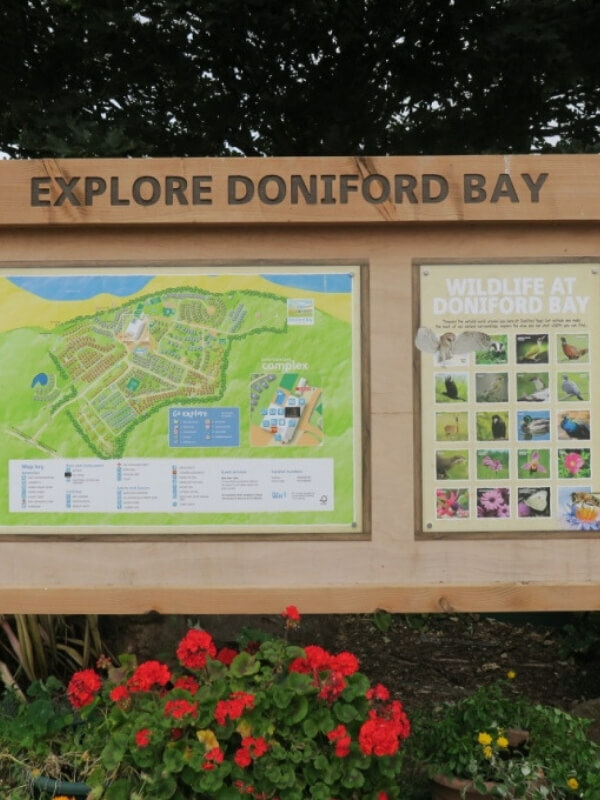 I loved the layout of Doniford Bay caravan park, everything was in a central location and easy to access. Our van was located in a perfect spot very close to the entrance to Doniford Bay beach, a bonus area where we spent a lot of our time. Doniford Bay beach is perfect for rock pooling and exploring rather than sunbathing. 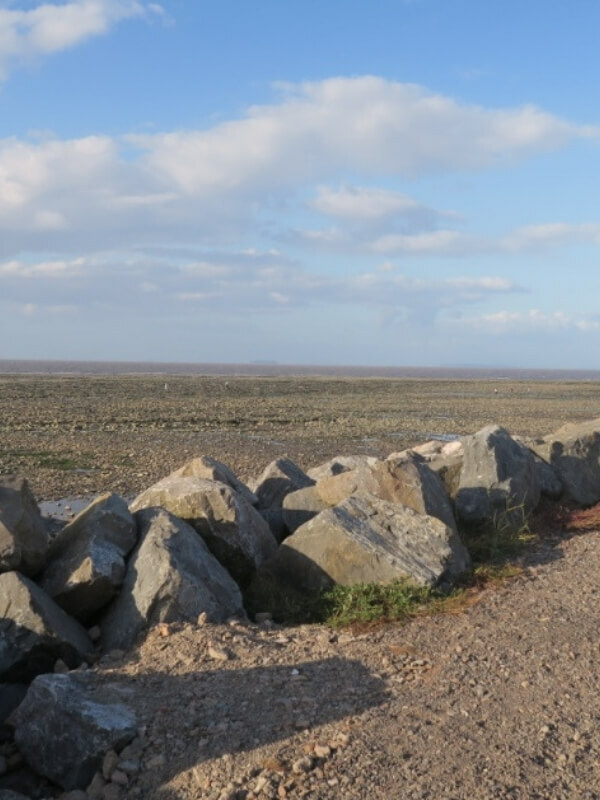 It’s made up of large boulders and small shingle with plenty of rock pools. The tide goes so far out that we were able to spend hours exploring. The views are also amazing across the beach and out to see from the entrance to Doniford Bay beach. The entertainment centre is home to the bar, restaurant and access to the swimming pools. The swimming pools were obviously busy but we didn’t feel too cramped. We really enjoyed the transition from the indoor pool to the outdoor pool which was home to the large water slide. I didn’t enjoy having to walk along the pool side to get outside if you are a spectator. The side of the pool was cluttered and slippery so I was often worried I was going to slip and fall in. This was a problem if I wanted to sit out and watch rather than swim, and when we took part in the outdoor activities such as water walkerz. As the majority of the activities are an additional cost, we decided to pre purchase an activity pass according to the activities listed on the website. When we were staying on site, it became apparent that not all activities were available to us which meant that we didn’t manage to use all our pass credits. I’m not sure in hindsight this was good value for money for us, so I would advise checking before you travel. The activities we took part in were the archery, which was good fun. It was a small group and there was a lot of one to one attention during the session. Water Walkerz was another activity that we enjoyed but I think we went on an off day as some of the equipment was out of action meaning everyone had to wait longer for their turn. There also wasn’t and structure to the session so unless the parents were on the ball as to who was next in the queue, it was a free for all. We really wanted to take part in the bungee trampoline but this had been removed from sale during our stay. We didn’t know this until we asked quite a few times. Our remaining credits ended up being wasted which was a shame, but something we know for next time. It’s not all bad news however as there are plenty of free activities. When we go away, we tend to self cater for breakfast and lunch and eat out in the evenings. 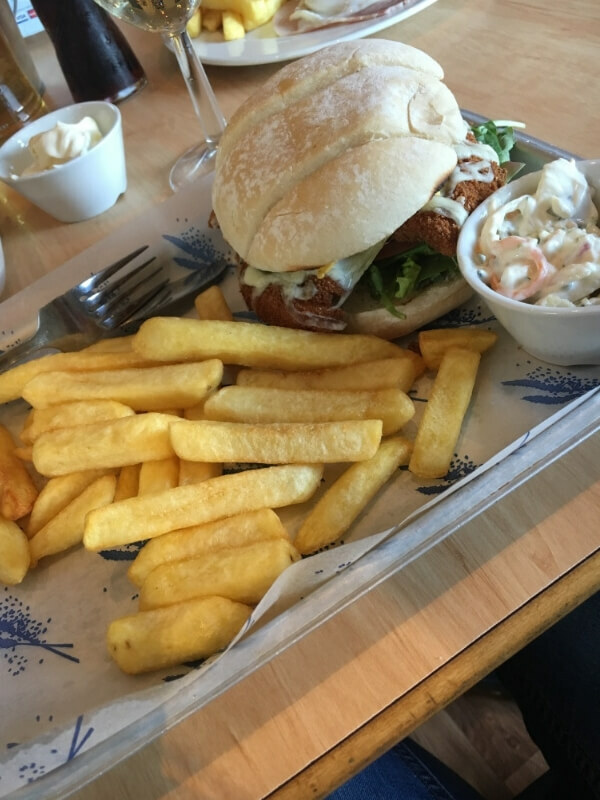 We found the on site restaurant to be good quality and we enjoyed the range of food we had in the evenings. The busy periods are obviously check in and check out day and our first night we waited quite some time to receive our food, but we expected this and when it arrived it was of a good portion size, piping hot and very tasty. Our first night experience in the restaurant led us to go back every evening, and we were never disappointed. There is also a takeaway fish and chip shop adjoining the restaurant, however we preferred to sit in the restaurant. Haven entertainment is targeted at smaller children which is what we expected. We didn’t visit for the entertainment so I cannot comment too much on that. We did however visit one afternoon when a pantomime was scheduled and we spent an hour laughing a lot! Overall we had a great break at Haven Doniford Bay. It’s pet friendly and worked for us. The cleaning standards could be improved on a general scale, however it wasn’t so bad we felt we had to complain. 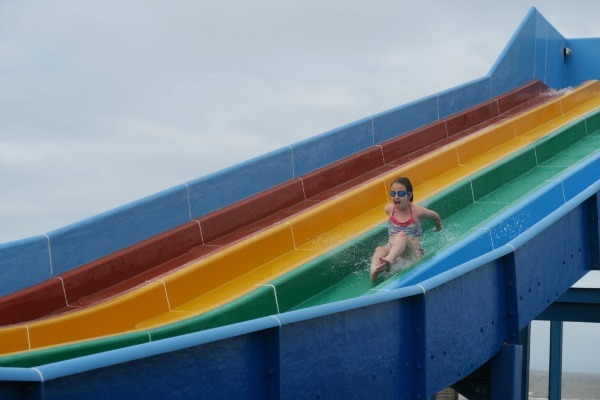 If you don’t want to purchase a Haven activity pass, we did find plenty of free activities at Haven Doniford Bay so there is plenty to keep you amused. We really enjoyed Doniford Bay Beach and that was a big highlight of our holiday. The arcade was also a great place to spend a few hours. We are big fans of the 2p machines and they kept us all amused. 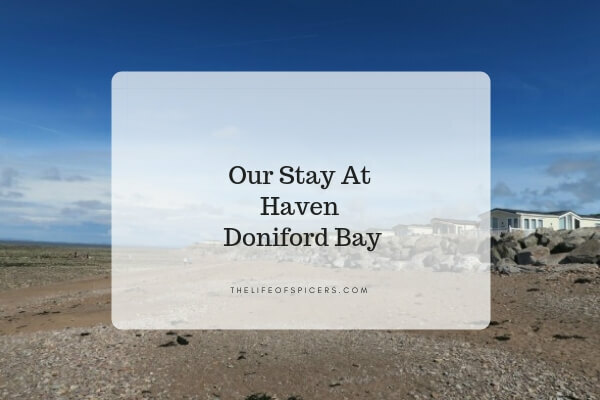 If we were to return to Haven Doniford Bay, I would definitely upgrade our accommodation as I think this would help our experience quite a lot.